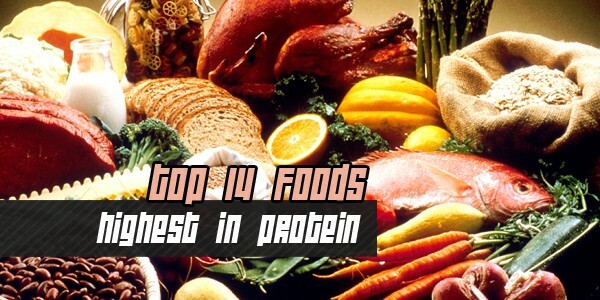 If you are to gain some serious muscle mass, you’re going to need to really up your intake of calories, proteins, carbs and good fats. Of course, packing those extra meals into your daily diet is not within the time or budget constraints of everyone, which is where weight gainers come into play. These supplements are designed to provide you with the valuable calories and nutrition needed to sculpt the perfect physique. To help you in your quest to get bigger – quicker – here are our top five best weight gainer supplements of 2017. An alternative to Serious Mass, Pro Complex is Optimum Nutrition’s product for anyone looking to gain weight without gaining too much fat. Our best weight gainer of 2017, this supplement is perfect for building lean muscle thanks to its different blends of protein (egg, casein, and whey) and can be taken post workout or late evening to great effect. Pro Complex offers less calories than some rival weight gainers – 650 per serving – but ups the protein intake to 60 grams and provides 85 grams of carbs. It is also simple to mix, tasty to drink and digests easier than any other mass gainer supplement we tested. An excellent choice. 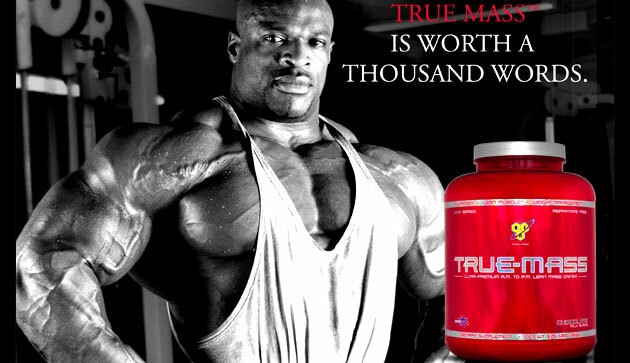 A product that many swear by, True Mass is a brilliant product for ectomorphs, offering 710 calories, 50 grams of protein and 90 grams of carbs per serving, as well as 15 grams of sugar (which could be an issue for some). BSN is a trusted name in supplements and this is one of the best weight gainers on the market with a delicious flavor and easy mix. It is slightly let down in the value for money stakes, however, with only around 16 servings per bucket. 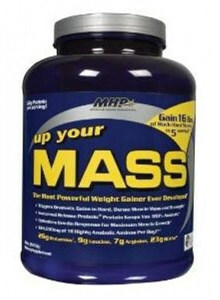 MHP claims that Up Your Mass can help users gain 16 pounds of muscle in just five weeks and its product certainly has the ingredients to back up those claims. This mass gainer supplement tastes good and packs in 510 calories per serving, along with 46 grams of protein and 58 grams of carbs – not quite on the same level as some of the other products on the list. However, the advanced mix also provides 26 grams of glutamine, 9 grams of leucine, 7 grams of Arginine and 23 grams BCAAs for improved weight gain. Its placing on our list of weight gainer reviews could have been higher was it not quite so difficult to mix well. 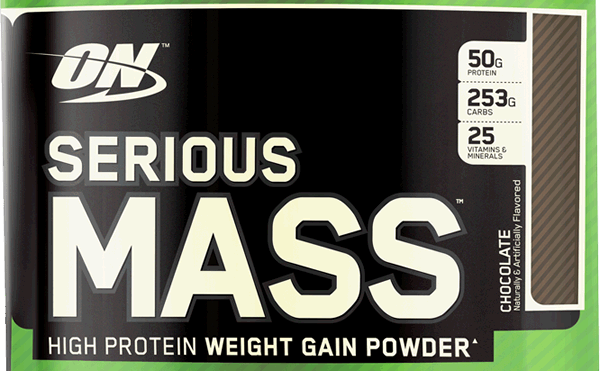 1250 calories, 50 grams of protein and 250 grams of carbs per serving along with glutamine and creatine make Optimum Nutrition’s Serious Mass one of the best weight gainer products on the market as well as a great combination supplement. You will, of course, need to be careful not to overdo it on the glutamine and creatine intake on top of this supplement, but use it correctly and you can build mass quickly. Where Serious Mass lacks, though, is in its chalky ingredients – a grainy texture makes it both difficult to mix and digest. 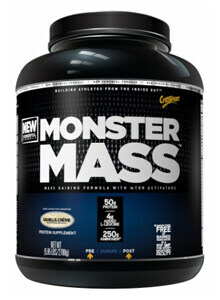 Monster Mass is a quality weight gainer with a smooth consistency, easy mix and great taste. A couple on extra flavors on top of the chocolate and cookies-and-cream options would have been nice, as would a slightly lower price; however, 600+ calories and 50 grams of protein will ensure you are able to bulk up and the product is super-easy to digest, which really helps it cause. 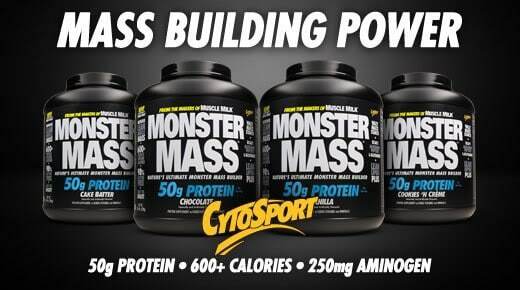 Monster Mass is probably too high in cholesterol to rank higher in the list, but it is a solid performer nonetheless. 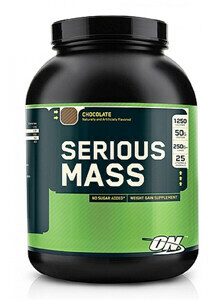 On ‘serious mass is best. Its my own experience. My weight was 52kg and after this product only in 20 days it rise up 60kg. But you should not continues the same product. 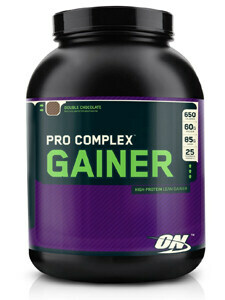 The amount of calories Pro Gainer by Optimum Nutrition has is 650 calories per scoop. NOT 270. I’m not sure who wrote this, but please only use facts. Guessing the facts and posting them is ridiculous. Thanks for your comment. 2 rounded scoops (74 g) contain 270 calories. 1 heaping scoop (165 g) contains 650 calories. i want to increse my weight from 55 kg to 70kg which gainer is best for me?? Hey Kwa I have not. The only reason I can say so is because I learned to eat enough calories from fruit. If you don’t get enough calories from healthy sources like fruit, you’re going to be craving unhealthy calories! So that’s the biggest determining factor. Staying hydrated﻿ and well rested helps tremendously as well. I want to gain weight. 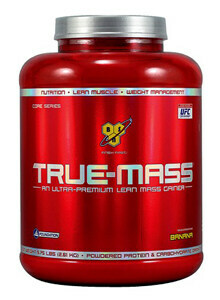 I checked True Mass and Muscle tech’s Mass Tech. But per 100g carbs, protein etc is more in Mass Tech then True Mass. Please recommend a better alternative. ayurvedic Product and has no sideeffect.You will see result after few months.